Vast interior spaces have become ubiquitous in the contemporary city. The soaring atriums and concourses of mega-hotels, shopping malls and transport interchanges define an increasingly normal experience of being `inside' in a city. Yet such spaces are also subject to intense criticism and claims that they can destroy the quality of a city's authentic life `on the outside'. 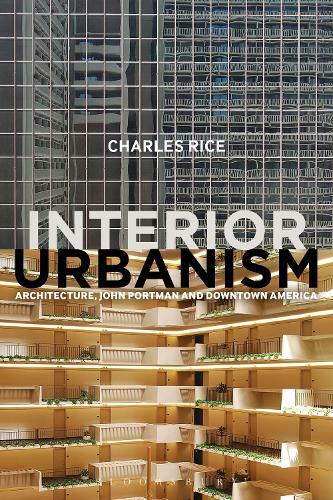 Interior Urbanism explores the roots of this contemporary tension between inside and outside, identifying and analysing the concept of interior urbanism and tracing its history back to the works of John Portman and Associates in 1960s and 70s America. Portman - increasingly recognised as an influential yet understudied figure - was responsible for projects such as Peachtree Center in Atlanta and the Los Angeles Bonaventure Hotel, developments that employed vast internal atriums to define a world of possibilities not just for hotels and commercial spaces, but for the future of the American downtown amid the upheavals of the 1960s and 70s. The book analyses Portman's architecture in order to reconsider major contexts of debate in architecture and urbanism in this period, including the massive expansion of a commercial imperative in architecture, shifts in the governance and development of cities amid social and economic instability, the rise of postmodernism and critical urban studies, and the defence of the street and public space amid the continual upheavals of urban development. In this way the book reconsiders the American city at a crucial time in its development, identifying lessons for how we consider the forces at work, and the spaces produced, in cities in the present.